Easter is a funny holiday – to many, there is huge religious importance. However, to some its just a holiday full of chocolate eggs and bunny rabbits. Some would consider these ideas intertwined, others would not – but regardless of it all, there is one thing I am sure we all can agree on. Easter brunch is AMAZING! Scratch that – brunch is always amazing. What’s even better than normal brunch recipes? 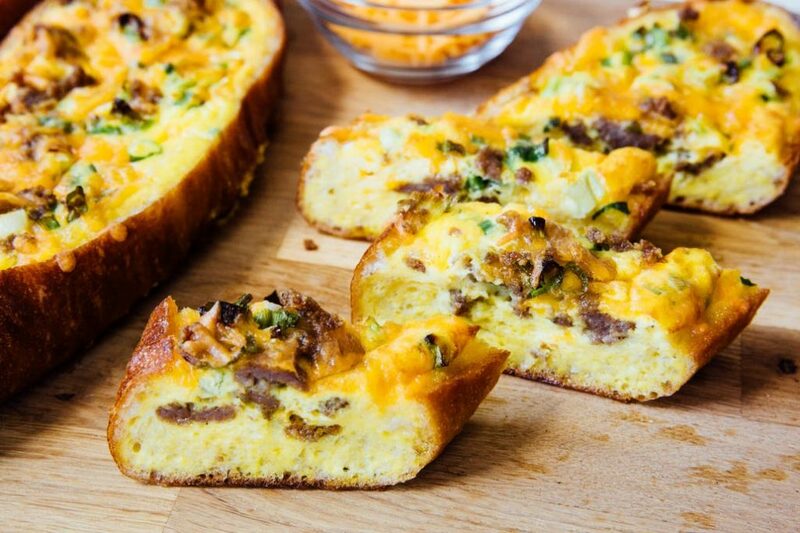 Make-ahead brunch recipes! Why? Because you can ACTUALLY enjoy the morning with friends and family even if you are responsible for putting food on the table. In my opinion, any holiday is an excuse to gather with family and friends to enjoy good food, fun and laughter. Whether you celebrate Easter or not, you can’t argue with a great brunch spread. Savory or sweet, breakfast or lunch – no matter what you are craving, there is something for you! I love eating savory at brunch and then stealing a bite of whatever sweet pile of sugar Jake ordered for himself. Its the perfect combination of food and oh so satisfying. Why else are make-ahead brunch recipes so awesome? They are usually VERY easy! 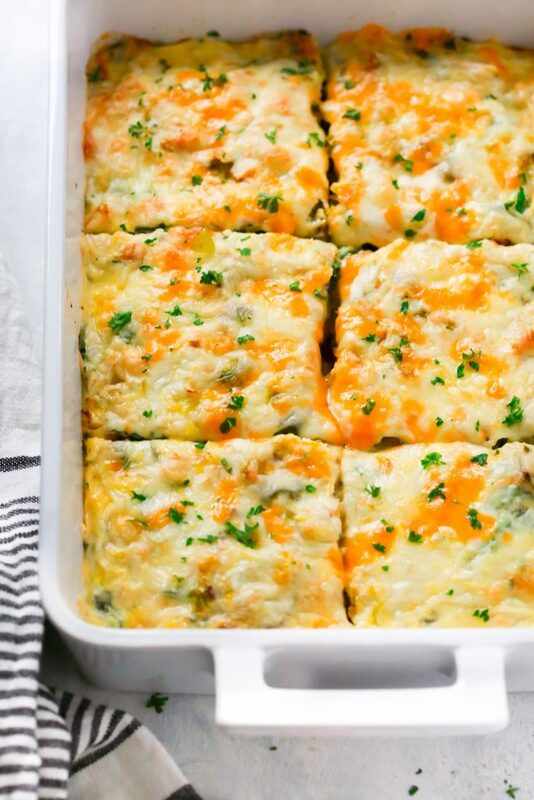 Who doesn’t love a recipe that says “throw all these things in a pan – bake.” BOOM! Done! I know I do! Here is a list of 25 Incredible Make-Ahead Brunch Recipes for this coming Easter Sunday, or any Sunday! 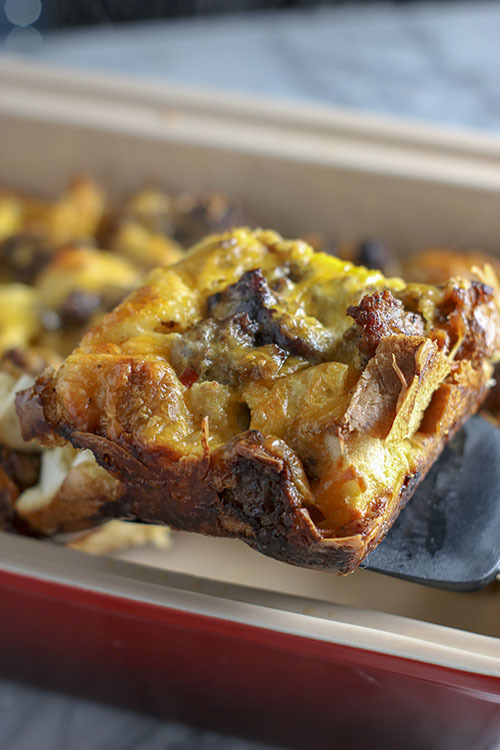 I LOVE THIS RECIPE – I am not even a huge fan of sausage – but this egg bake is unreal. Warm, creamy, eggy goodness – salty sausage – so cheesy and delicious – you can’t go wrong. 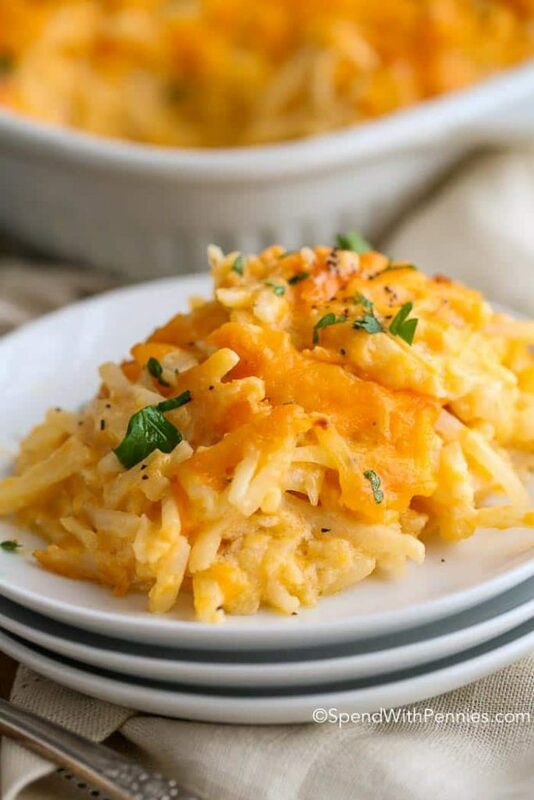 I absolutely LOVE the idea of this Butternut Squash Potato Gratin – what a fun, “healthier” twist on a classic dish! 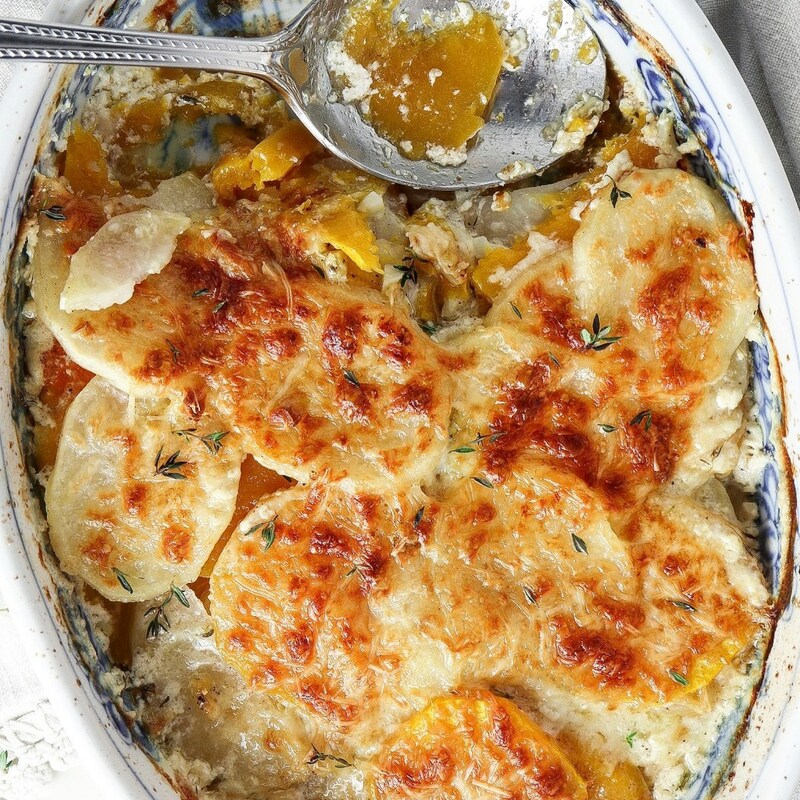 Don’t you worry though – this recipe by Tipps still contains all the delicious cheese and cream that you crave in a batch of traditional potatoes au gratin. 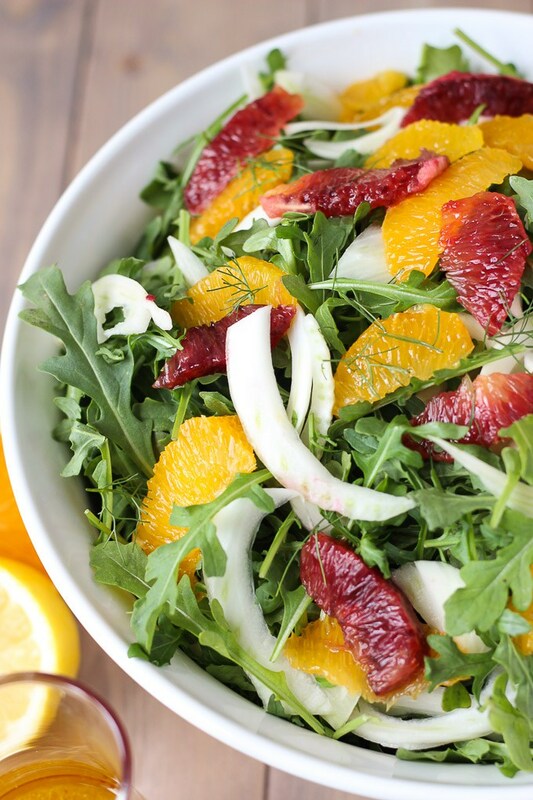 This salad not only sounds delicious but it looks beautiful as well. When I eat brunch – I am all about the eggs. Those eggs are usually accompanied by cheese or avocado or toast or potatoes – a.k.a. not the healthiest of sides. I love the idea of offering a light, fun, and refreshing salad to accompany all the other amazing dishes you may choose to include at your Easter Brunch! EGGS BENEDICT ARE MY FAVORITE! But lets be real, you are not about to make 20 poached eggs for your family. You better not! 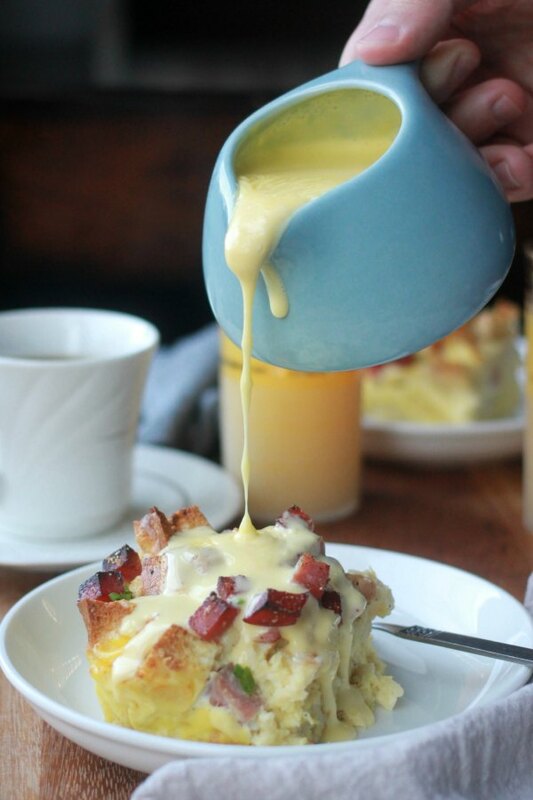 Check out this incredible alternative the traditional eggs benny, a make ahead brunch recipe for the books – Overnight Eggs Benedict Casserole. Ohhhh Bettie! If you are looking to include more southern fare, look no further – this Biscuits and Gravy Casserole by Lemon Sugar will be the ultimate addition to your Easter brunch. 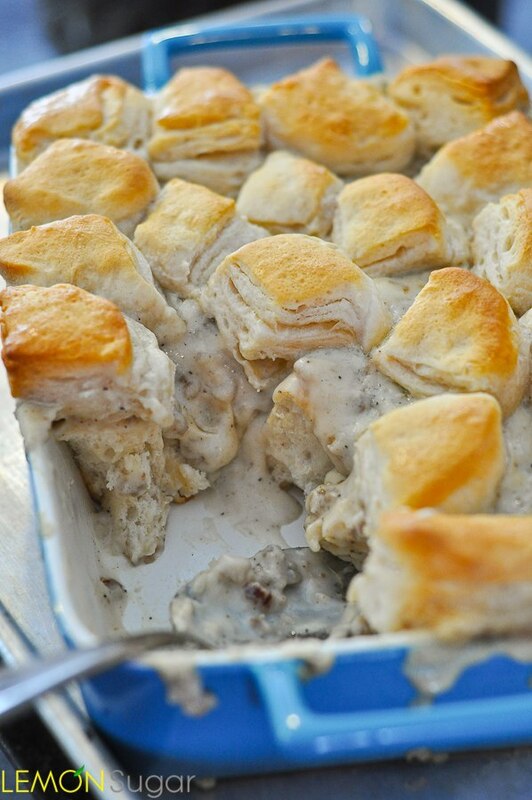 Warm, creamy sausage gravy loaded with buttery biscuits and baked to perfection – mmm mmm mmm! 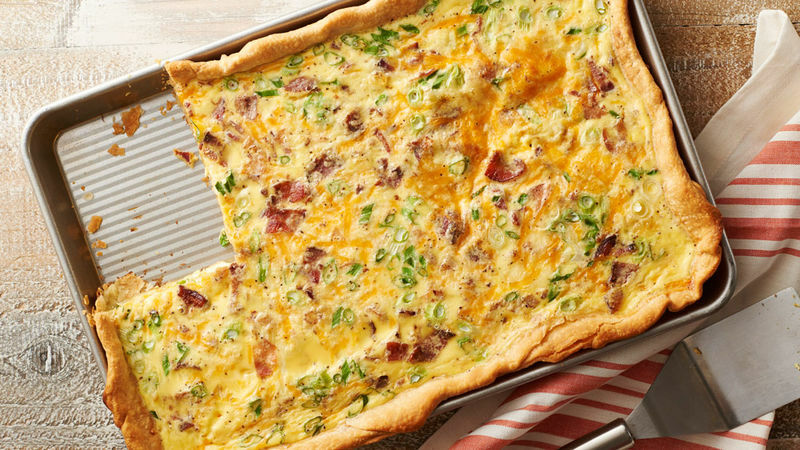 This crustLESS quiche is another great option if you are looking to keep brunch on the lighter side. No crust means no extra butter, therefore less fat. Also very cool, Beth – the mastermind behind Budget Bytes – explains that this recipe will only cost you $6.13! AMAZING! Beth notates cost of ingredients on all her recipes and provides great tips and tricks on how to save money without giving up on eating delicious food. So yes – this is a Pillsbury recipe. Not some cool fancy blogger recipe. But seriously, wow. Look at this SLAB QUICHE! Also, I have never heard of a slab quiche!! I love it – what an awesome idea. Same delicious food – different shape – more to enjoy! I mean come on… Need I say more? 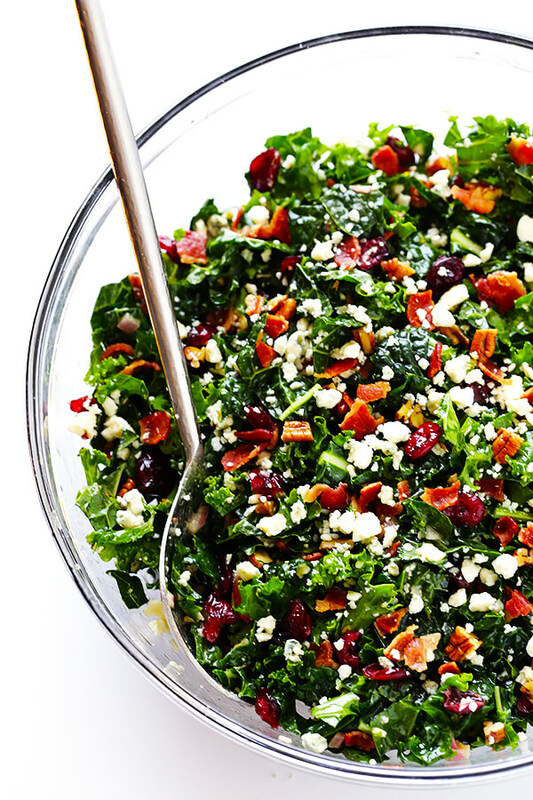 Looking for something that screams a little more “lunch” and a little less “breakfast” – this Kale Salad is a great way to throw some green in the mix without missing out on the flavor. I love love love this recipe by Primavera Kitchen because it is delicious yet versatile. You can use any fresh veggies that you have in the fridge! Your favorite cheese!! And boom, you have an awesome, healthy breakfast! This is one of Jake’s FAVORITE things that I make – and it is SO incredibly easy. 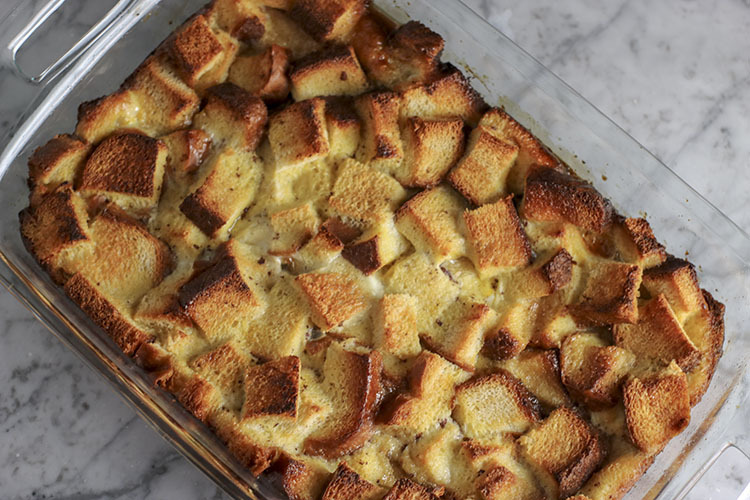 I love to make this Overnight French Toast Casserole recipe either with French bread slices or cubed white bread. Either way, you’ll end up with an incredibly easy, delicious, sweet, butter, moist French Toast that the whole family will love. Sour cream coffee cake is my FAVORITEEEEE! I love it so much. 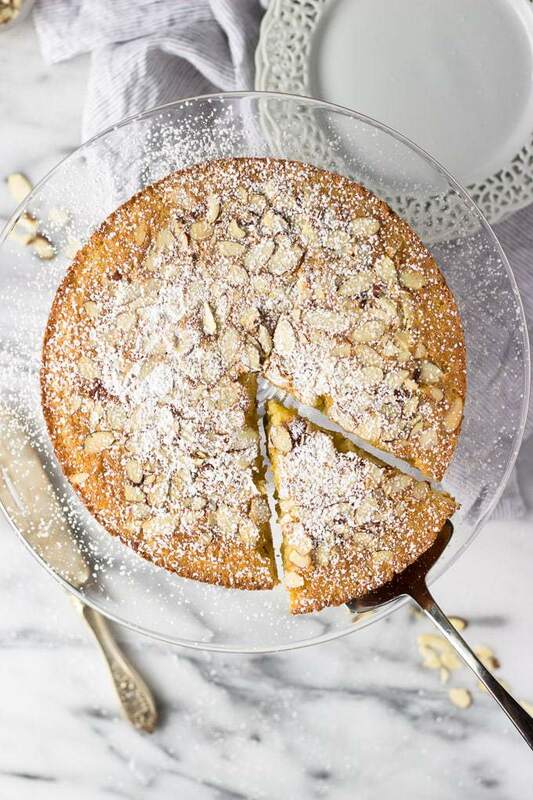 Soft, moist, deliciously dense cake – filled with sweet cinnamon sugar – then DOUSED with more cinnamon sugar and nuts! 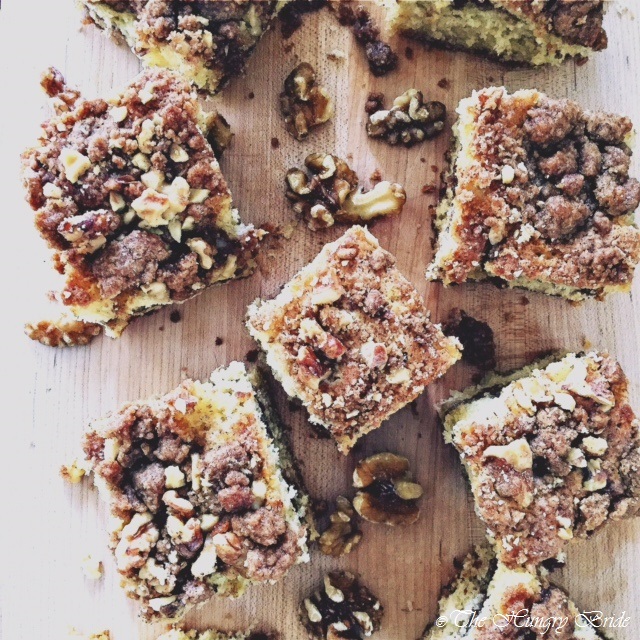 Breakfast, brunch, tea-time – I am ready for you sour cream coffee cake. I have two favorite oatmeal flavors – maple brown sugar and cinnamon. Which is why THIS OATMEAL SOUNDS UNREAL! It is like the ultimate collision of deliciousness. Looking to serve a crowd but don’t want the meal to be a production? 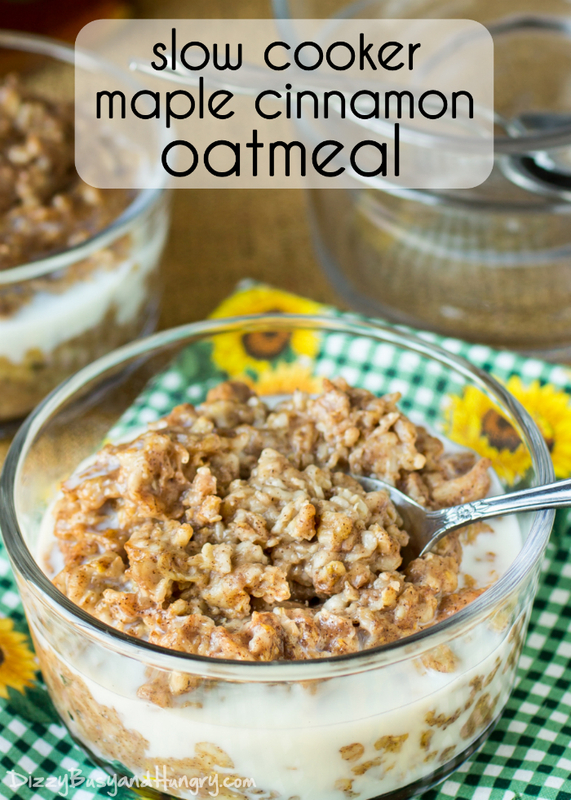 This slow cooker oatmeal is a great alternative that all can enjoy! Tell your friends/family to grab a bowl and help themselves – you’re busy relaxing! I love pancakes – but it definitely feels like a production sometimes. Making the batter, heating the skillet, pouring batter onto the skillet, missing the skillet, splattering batter all over the stove… what? That doesn’t happen to everyone? 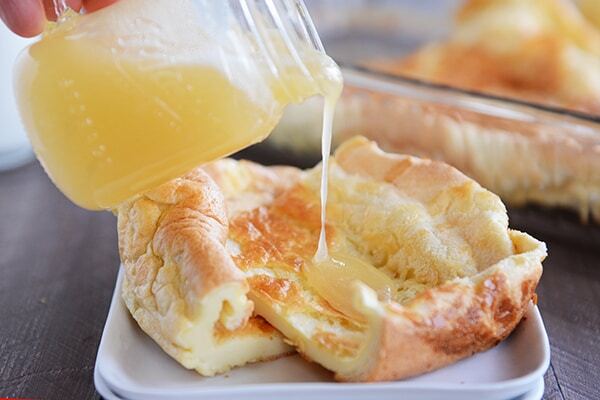 Who doesn’t love the idea of a BAKED PANCAKE! I mean what’s not to love? And a BUTTER SYRUP? Stop it, Mel! This is too amazing. So maybe your Easter brunch is a little bit more casual. More of a gathering with coffee and tea rather than a sit down feast. 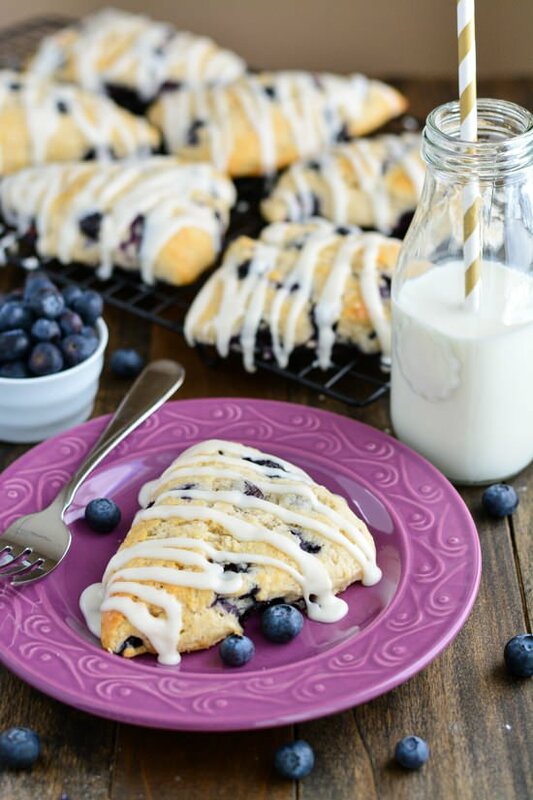 Check out these incredible Blueberry Scones! They are moist, buttery, fluffy – bursting with sweet blueberries – and drizzled with glaze… enough said. How stunning is this cake? 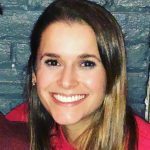 Can you tell that Becca – creator of Fork in the Kitchen – has become one of my favorite bloggers? I just can’t get over her recipes! This cake is the perfect addition to your Easter brunch menu because its the perfect spring dessert! 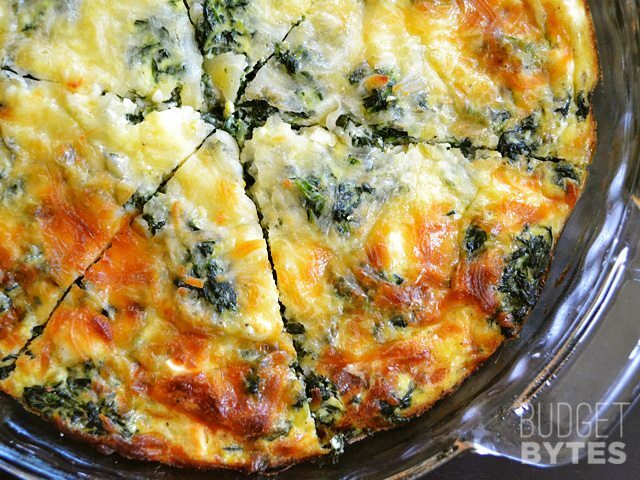 It is light, yet still comforting and full of flavor. I can’t imagine anything better than enjoying a warm slice of this incredible cake with my Sunday morning coffee. So did I mention that Fork in the Kitchen is one of my favorite blogs? I meant it. 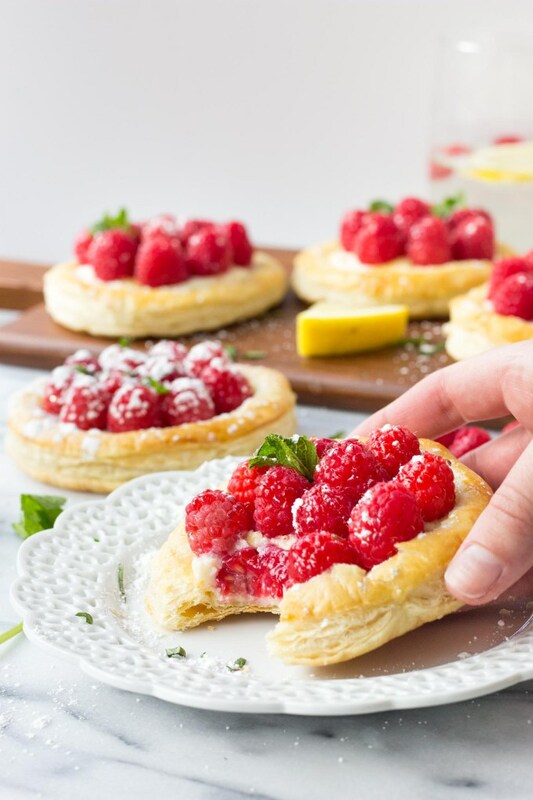 Full of color AND flavor – these individual pastries are the SURE to impress everyone at your brunch. I say sticky. You say bun. Sticky. Bun. Sticky. Bun. My other favorite blog – thank you, Sally for all that you do. LOVE THIS RECIPE! Fresh fruit is always a fabulous addition to brunch. 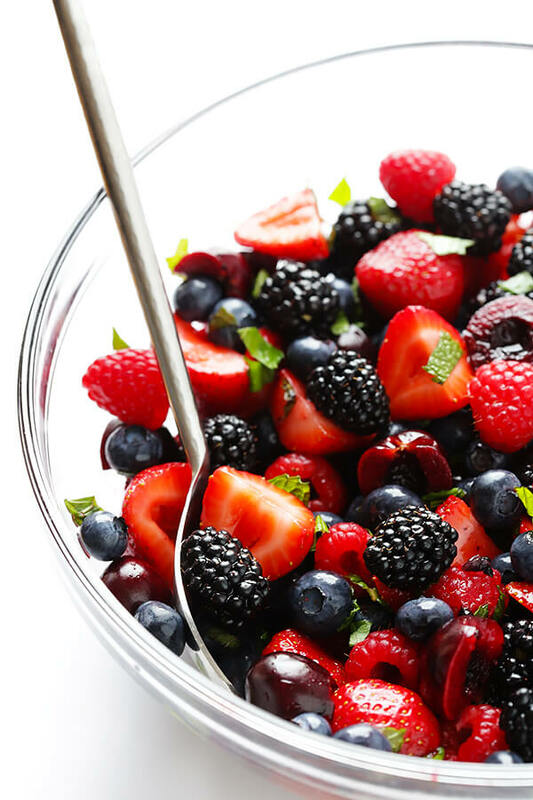 I know I always feel a LITTLE less guilty when I have some color on my plate – this make-ahead recipe for Berry Fruit Salad is a great way to mix it up and provide a little extra pizzazz to your brunch spread. 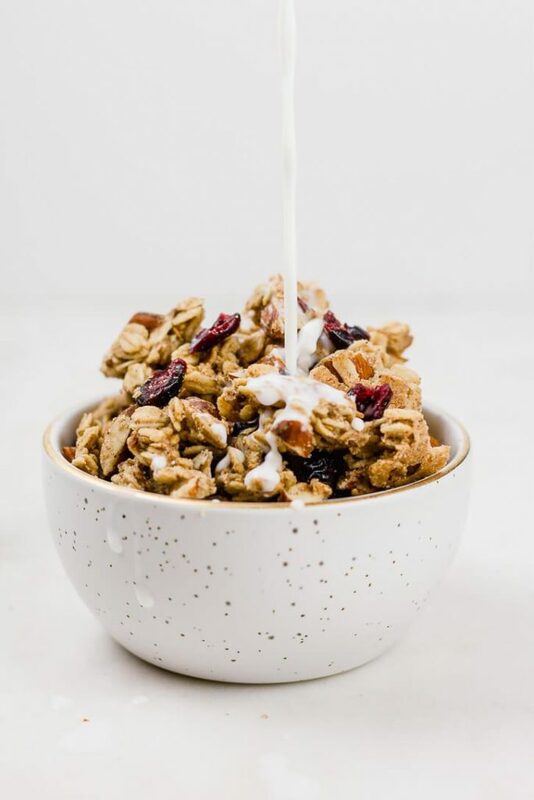 Easy to make, delicious to eat, and cheaper than store-bought – this perfectly crunchy Larger Cluster Almond Granola is amazing on top of yogurt, smoothies, with milk, or even just as-is! What’s the best part? The recipe can be completely customized to suit your family’s tastes! You are SO SWEET! Thanks for all the kind words and including my recipes! 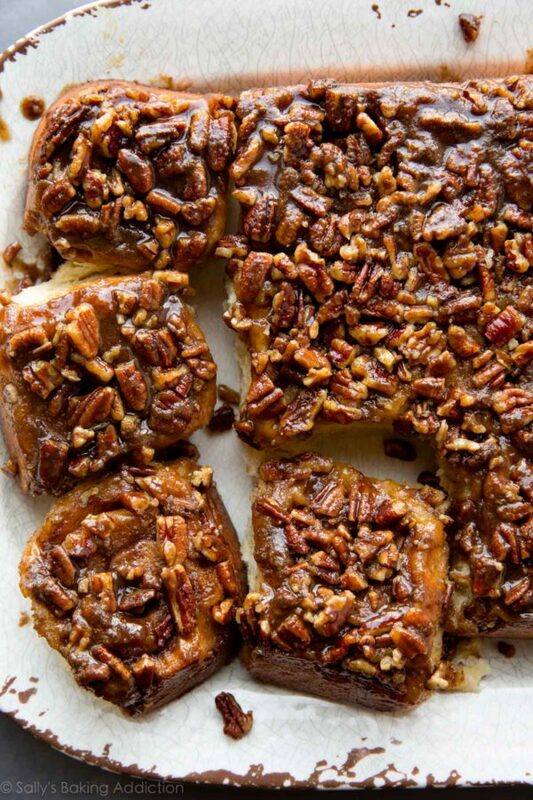 I love all of your round-ups, also that Overnight French Toast Bake — YUM!!! I have to try it! But of course!! 🙂 Thank you so much!! And YES! You must! It is actually one of my FAVORITE recipes! It is so easy – and so delicious. You can’t go wrong!